DSA5 in Stainless Steel wood burning stove installation from Kernow Fires. The floor standing stainless steel DSA5 is one of the physically largest fires supplied by Kernow Fires. 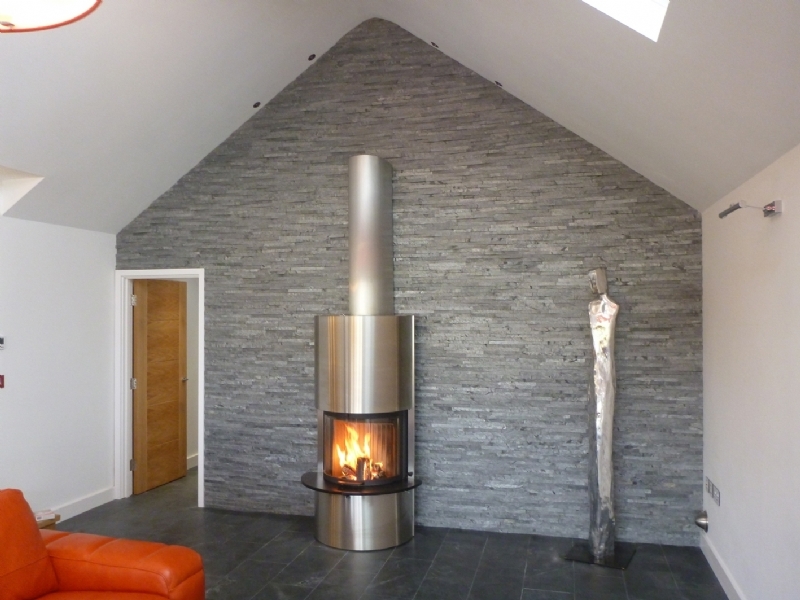 The stainless steel works beautifully with the decorative wall and is definitely eye catching! This fire also comes in a wall mounted version and in black as can be seen in our Wadebridge showroom.